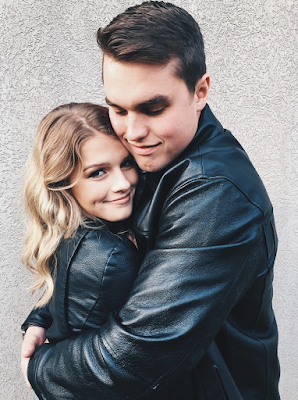 Bates Family Blog: Bates Updates and Pictures | Gil and Kelly | 19 Kids | Bringing Up Bates | UP TV: Bates Relationships Galore! Four daughters married, one daughter courting and headed for engagement, and another daughter quickly moving in the direction of courtship. It's no wonder why Gil Bates is holding his girls close! In the new season of Bringing Up Bates, which premieres tomorrow (Thursday) at 9pm ET/8pm CT on UP, you'll see Tori and Bobby's engagement and wedding, Carlin and Evan's courtship "proposal," and updates from Josie and Kelton. Hi Lily & Ellie I got a question to ask Will there be any updates About Michealla & Brandon for the new year? And more updates about Nathan Lawson & Trace the older Bates men? & Any updates on Ashley Nathan s friend to see how she is doing? Time 6:00PM. There are lots of exciting updates coming your way on the new season. It's so hard for Gil to see his daughters growing up being in love with the man of their dreams he wants his daughters to be little girls forever but they are growing up. Even Josie is in love with her man Kelton who is so handsome. Their first love is their daddy Gil hope they never forgot get that. I grew up with my mom I never had a dad around in my life I had 2 brothers one older & One who will be 24 in a few days. But hey add least Gil got his youngest daughter's who won't be 18 in the next few years from now. Hey It's on for a daddy to cry to see that his daughters are growing up. Time 6:06PM. Happy Wednesday. I think it's probably hard for many dads to see their daughters grow up and get married. I remember telling my dad when I was about six years old that I'm not getting married and I'm staying with him and my mom. They are both gone now and I'm happily married. We have three daughters and I know the day is coming when they will enter into a courtship and eventually marriage. OH I MISS MY GIRLS BEING LITTLE! WAAAA! Every father I’m sure feels the same way , but dosen’ go on about it . How is it any different ? He has a lot more daughters than most dads, so he has to go through those emotions a lot more often. Gil also seems to be pretty tender-hearted and doesn't seem to be ashamed to show emotion. I can say that a lot of fathers don't feel this way. When I started dating and bringing boys home my dad didn't even bother to learn names. I would say he could probably name two guys I've dated, out of about ten. Once I was about 13 he just trusted me to make my own decisions and my dating life never interested him. My mom was always close with my boyfriends, but in the same way she was close with my other friends; she was just more involved. But she still never got involved with the actual progression of the relationship. I was always glad I was allowed to do my own thing, as I knew it meant my parents trusted me. I'm not saying there isn't trust here, because it seems like there is, it's just interesting how families handle the dating issue so differently. Josie just turn 18 last August. She needs to courting Kelton for awhile they are going to fast. They have known each other for a while. Kelton introduced Tori & Bobby. That's quite the hug for a couple who's not even courting! Standards have strayed from the earlier days. If you look closely, it seems Josie actually has her arms crossed on her chest to create a barrier between the full frontal hug. Modesty is as modesty does, to borrow an idea from Forrest Gump. It sure is and quite a tight one. Ah, you're right, 1:23. Good eye! Yes! Your right 10:21 that is way to physical! What happened to their standards? They seem to be sliding backwards! The oldest girls wait to hold hands at engagement, but not Josie! She's like, "I'm doing a frontal hug way before that!" The Bates have always allowed frontal hugs, even pre-courtship. It's the Duggars that only do side hugs until marriage. There's an old episode of Bringing up Bates where Michael hugs Brandon when they weren't courting, and talks about how they allow frontal hugs. I believe Alyssa and John had different standards for their relationship. Tori and Bobby held hands at courtship. Erin and Chad waited until engagement to hold hands, but Michaela and Brandon did frontal hugs before engagement, Zach and Whitney held hands before engagement, Alyssa and John did frontal hugs at courtship, Tori and Bobby held hands before engagement, Carlin and Evan did frontal hugs before courtship, and now Josie and Kelton do frontal hugs. Erin and Chad were the only ones holding true to the strict rules. I believe the Bates family are okay with holding hands at courtship.But, I also remember that Zach and Whitney had a 'LARGE' talk with his parents, after they got married. They told them that they made a mistake while engaged. They kissed before marriage.They felt bad about it and wanted to confess.Please correct me if I'm wrong. I have been following the Bates family for many years and I love and respect them. They are trying to do their best, to raise their family in the way that they believe is correct. But, they are compassionate and understanding in the fact that, as humans, we will certainly make mistakes and fall short in our endeavors to follow The Word as well as to follow our parents training, etc. They realize that it matters how they handle these issues. It says alot for the way they make their children/adult children feel comfortable with coming to them to reveal a mistake or lie or similar situation. I wish my parents were still alive and I could go to them with my thoughts. But, they loved me and raised me to know, What is Right!So, even though they are not here in body. They are with me in spirit and I can still hear their words of wisdom, in my heart and in my soul.What a Blessing they gave to me. I'm sure that the Bates family will forever hear the words that have meaning to them. The Bates have even taught me many things that I will remember in times of 'need.' Thank God! It's just great how supportive the parents are. The kids say they're in love and the parents do whatever they can to support them. Ive only ever had one boyfriend, my current boyfriend and we've been dating 5 years and we're friends 2 years before that. I'm 22 and my parents are dead set against us not being together. It's not like I can do much about it. I dont have a licence and cant go see him and my dad wont let him anywhere near our house, so I have to wait on my mom taking me to visit him. We only live 12 miles apart. But, Im in college and gone for most of the year. I only have 1 more year left so hopefully they will be more understanding after I graduate. It's just hard sometimes seeing people younger than me getting their parents support on their relationships. What is it they don't like about the guy? Sit down and really think about those things. Most parents only want the best for their children! Don't rush. Finish school and get a job! Take time to be a young professional women on your own for awhile! Plenty of time for marriage/kids! 10:26 AM I'm sorry your parents are not supportive of you and your boyfriend. I don't know the circumstances as to why your Dad won't allow him near your house. And you don't have to share why. I will say that it sound like you respect your parents and I find that quite admirable. I hope all goes well with you two. It would be nice if the four of you can sit down and have a calm discussion about your relationship. There is probably an honest reason your parents are against the relationship. You would be wise to heed their advice. It’s also not good your parents are not cohesive. Waiting for your Mom to drive you because your Dad won’t let him near the house? Messy on every level. And, you are an adult still relying on Mom to drive you to meet your boyfriend. Doesn’t come across as the maturity of a 22 year old adult. Parents can see things that young people in love cannot see. Maybe the boyfriend is disrespectful? Maybe the boyfriend doesn't have an education like their daughter, and he's dragging her down? There are many reasons why parents do not support a relationship. Best to talk to them, and find out of the reasons why. Thirty-five years ago, my parents were not supportive of my five year relationship. And they were wise indeed. The guy turned out to be "not the one", and two years later, I met the man of my dreams. And my parents were very supportive. I was in a relationship two years ago, my family didn't like my guy, and it was a tough time for me. I felt like everyone was against us... But in the end I broke up, because my mom was so worried, and I couldn't live seeing her so unhappy because of me. After I broke up, I realised how my ex had been controlling me, how the relationship had been emotionally abusive, and how I'd I had not followed the above of my family I would of lead a very sad life. Being in love I turned a blind eye to many of the little things about my chap that annoyed or worried me... But now I've put behind me,I can see what my family saved me from. Breaking up was the hardest thing I ever did, but now I thank my family daily for thier support. Remember, parents know you much better than any man you've known a few years, an you're parents want the best for you, and even if they don't personally like the man you love, if they see he makes you happy, and does you good, they will be happy for you. I'd like to learn about Gil and Kelly's dating/courting time. Were they more mainstream than how they are bringing up their children. If so, why the change? I have a feeling Josie and Kelton will be heading down the aisle before Carlin and Evan. Kelton is someone the family has known for a long time. He's already graduated from college and is working. Josie has finished her cosmetology course. Yes, she's only 18 but remember Alyssa got married young. Are the Bates courting/dating guidelines different than the Duggars the Bates seem a little more touch feel with dating. Whoa! Those two are really close. No space there. Odd how there was a time not too long ago they couldn’t hold hands until engaged. Times are changing! Is there anyway we can watch bringing up Bates afterwards? The episodes are uploaded to Amazon and iTunes for purchase soon after they air. Yesterday's episode isn't up yet, but it should be on its way soon. The girl's bedroom is growing with four sisters married and away. . . and it won't be long before two more leave the nest. . . . leaving Katie and the three little sisters. WOW - what a difference.